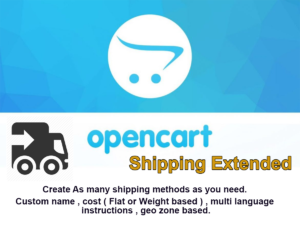 Opencart’s shipping extended allows you to create as many shipping methods as you need. It also allows you to individually define the commission (Flat cost or weight based cost). Also Admin can define multi language instruction message for every created shipping method.